Last month, Chris Hughton was appointed manager of English football team Norwich City. With this appointment, he became the only black manager of any of the 92 teams in English football’s top four divisions. Currently, approximately 25 per cent of players in those divisions are black, and black players from England and overseas have made significant impacts on the game for the past 30 to 40 years. The dearth of black football coaches, therefore, doesn’t seem to be the result of problems with the quality, prestige, or quantity of prospective black coaches. But, as Hughton recently said, there is still a “massive imbalance in those from a playing capacity going through to management.” Why? Football itself is generally relatively meritocratic— it is, after all, a results business. Coaches will pick the best players for their side when their jobs depend on it, and academies scour the world looking for the best young talent. While English football does have problems with racism from supporters and coaching staff, these problems aren’t on the same level as those their counterpart Italian or Russian leagues have discovered, in which there have been multiple incidents of monkey chants and targeted heckling of players of colour. This is, perhaps, epitomised in media characterisations of talented black players. Star Ivorian Coast striker Didier Drogba and countryman Yaya Toure are described as “beasts” and “powerful”, while their white counterparts are “imaginative”, “creative”, or “a genius”. Attention is consistently given to black players’ physical attributes, rather than the mental capabilities they would regularly need to exercise in order to succeed in the intricately tactical and complex game. Moreover, there are few black club captains or vice-captains. Vincent Kompany of Manchester City is currently the only black EPL captain. Such positions of responsibility are generally awarded to players seen to be mature, tactically sound, and to have strong management skills. It seems that, while a black player may be well thought of as a player, he may not be seen to have the strategic or tactical prowess needed in positions of authority. All this, combined with an “old boys” mentality amongst managers and players in leadership positions sees a self-perpetuating cycle of successful white players being offered coaching positions often at the expense of equally, if not more decorated, black colleagues. And with very few pundits in mainstream and online commentary nominating black players for coaching and managerial positions, black players simply aren’t even in the conversation. Elsewhere, American Football had faced a similar issue with a lack of diversity in coaching positions, leading to the introduction of what’s known as the Rooney Rule, which requires that at least one black person be interviewed for each position of authority in the league. It’s been relatively successful, too; there are now eight black coaches in the NFL. Cyrus Mehri, the civil rights lawyer that headed the campaign for the Rooney Rule, has recently become the face of a fresh campaign to institute similar changes to the EPL and its lower divisions. It seems that, at last, the English may have realised that something needs to change. 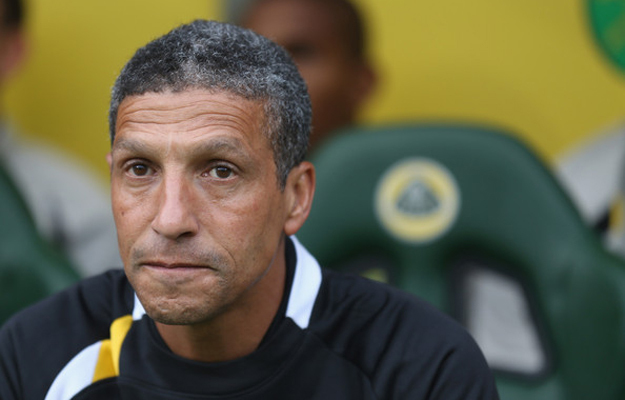 After all, Chris Hughton won’t stick around forever.